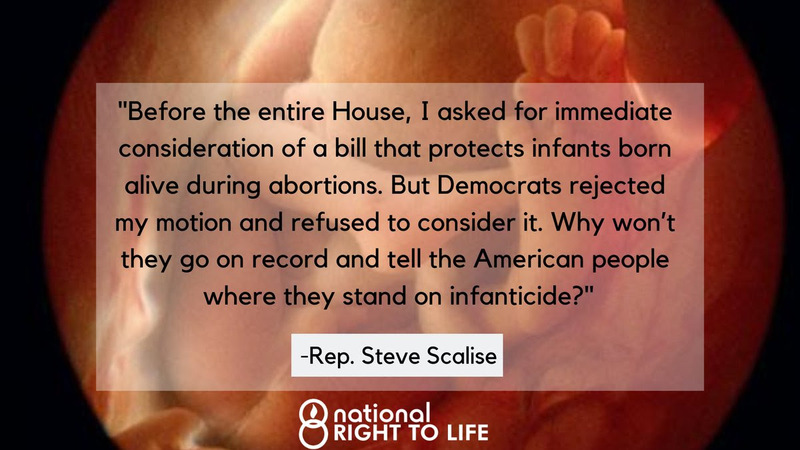 There must be a special place in the House and Senate Democratic caucuses reserved for those blessed by their pro-death compatriots with the honor of saying “No!” to requests for unanimous consent so Congress can move forward to consider the Born Alive Survivors Protection Act. These champions of “women’s right” have moved (as they say in sports) to “the next level.” They are gleefully throwing sand in the legislative gears, left and left, so that members of the House and Senate can ensure that babies who miraculously survive abortions are left to die. The truly beneficence ones will, no doubt, echo the sentiments of pro-abortion Va. Gov. Ralph Northam who opined that these helpless babies be made “comfortable” on their way to wherever their corpses are disposed. These are not only a forthright and courageous lot, they are also clearly tender-hearted as well. Do Democrats have a Hall of Fame? If so, they should be inducted unanimously on the first ballot. Now, admittedly you and I would consider folks such as pro-abortion Senator Patty Murray, who thwarted the call for unanimous consent in the Senate, as candidates for the Hall of Infamy. But that’s because we don’t get why their names should be included in a kind of demented Honor Roll. We keep thinking that babies born alive are—stay with me now—alive. Separate from their mothers. Breathing on their own (unless they need assistance or, conversely, someone on the hospital staff concludes it is “unkind” to allow them to “suffer”). We keep missing the point!!!!!!!!!!!!! They are supposed to be dead. For whatever reason (probably danger to the mother), they have not butchered the child, like cattle at a slaughterhouse. The abortionist has induced labor early, confident the child will not survive delivery. Alas, on occasion, there is (to use a one-time famous phrase) a “dreaded complication.” The child survives, the best efforts of the abortionist to the contrary notwithstanding. And those darn pro-life Republicans want this child treated like any other child born prematurely. Where do they get off? Republicans don’t understand that infanticide—whoops, failure to treat—is like a continuation play in basketball. The player is in the act of shooting (the abortion), is fouled (the baby survives), and she get a free throw (infanticide) whether or not she made the basket. We’ll do our best in the days and weeks to come to let you know which Democrats in the House and Senate make sure there is no unanimous consent to move forward to consider the Born Alive Survivors Protection Act. You can be sure that each time they do, like Democrats in New York after they passed their abortion on demand “Reproductive Health Act,” they will whoop it up.